In US there are 123,000 patients waiting for an organ donation. Out of these patients 100,000 are waiting for a kidney. Kidney is the most transplanted organ in medical history. But still only 16000 kidney transplants are done every year. These figures are sufficient to tell the shortage of kidney donors. 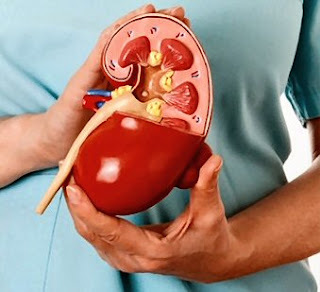 Kidney transplant or Dialysis is needed after kidney failure. Till one kidney is arranged, the patient may survive on dialysis. The function of our kidney is to purify the blood by extracting excess fluid, toxins, salts and minerals from it. If this purification is not done then our blood pressure will increase and our bones will become weaker day by day. Shortage of hemoglobin may also occur as hemoglobin is manufactured inside bone marrow. To overcome this thing artificially the blood is purified through machines, which is called Dialysis. It takes 4 to 5 hours for the dialysis to complete and needs to be repeated around thrice per week. Dialysis bounds a patient life in certain limits. The patient can't enjoy the life to proper extent as he bound to remain near his dialysis center and visit it every alternative day. If the dialysis expenditure is not covered in your health insurance then it becomes an economic burden as well. If we compare dialysis to kidney transplant then Kidney transplant is better. But Kidney transplant is not the final step of the treatment. But still Kidney Transplant is the better option. It gives you freedom to a certain extent. Some patients in US prefer a dialysis machine at home, which gives them certain extent of freedom. But it needs a dedicated operator of the machine who have received the 4-6 weeks dialysis training. Even a family member can receive this training and get it done for you at home. Kidney from a living donor is more successful than from a deceased donor. If you are suffering from Diabetes or suffered a heart attack then your doctor might not recommend a transplant for you. Age and health condition is also checked before transplant. Before a transplant doctors check if its a match for you (blood group and tissue type). Its transplanted only if it matches you. Kidney of a family member has more chances of body acceptance. Immunosuppressive drugs are given to patient after a transplant, so that the immune system in body don't reject the new kidney taking it as a foreign material. The old deceased kidneys still remains in your body and the new kidney is placed below in the groin region taking blood supply from one of the legs. Body of an overweight receiver is less likely to support a new kidney compared to a healthy person. So doctors advice you to keep your BMI index under 30. Usually women patients get more offers of kidney donation from family members but still women receive lesser transplants. The reason is that they don't prefer transplant from a living donor. Kidney from a living donor starts working immediately, while kidney from a deceased donor may take a few days or weeks to start working. In the mean time the patient may need dialysis. The living donor might put his health insurance at stake. In some countries the kidney donor are either not considered suitable for health insurance or they have to pay extra premium amount for their health insurance. Only 60% of kidneys received from a living donor works for more than 15 years compared to 50% in case of deceased donor. Only 80% of kidneys received from a living donor works for more than 5 years compared to 70% in case of deceased donor.